Washington Apples are a natural supply of fiber and are fat free. They include polynutrients and anti-oxidants. The Calories of Washington Apple is 95. 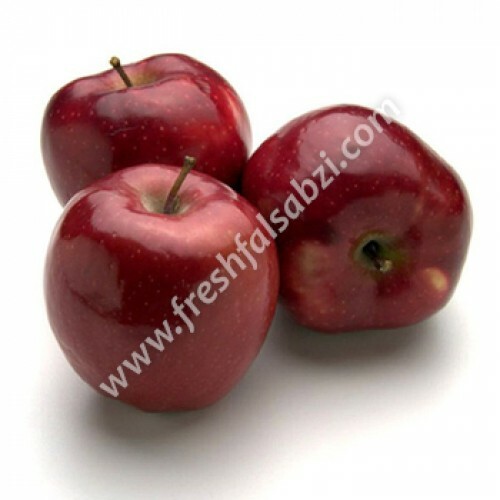 These Washington Apples are sweet, crisp, red, soft-skinned, highly aromatic juicy fruits. These are wealthy in antioxidant phyto-nutrients flavonoids and polyphenols. It includes beta-carotene and vitamin-C.
Benefits : These apples help reduce cholesterol levels and prevent heart disease, smoker's risk and aid lung functions. It lowers the risk of developing Type 2 diabetes. It reduces the risk of neurodegenerative diseases such as Parkinson’s and Alzheimer’s and boosts brain function.